Guggulsterones, the key active ingredients in Shuddha Guggulu, help regulate critical biochemical steps in the liver and intestines that decrease cholesterol uptake. Guggulsterones also increase the conversion of cholesterol into bile acids, facilitating removal of excess cholesterol through feces. 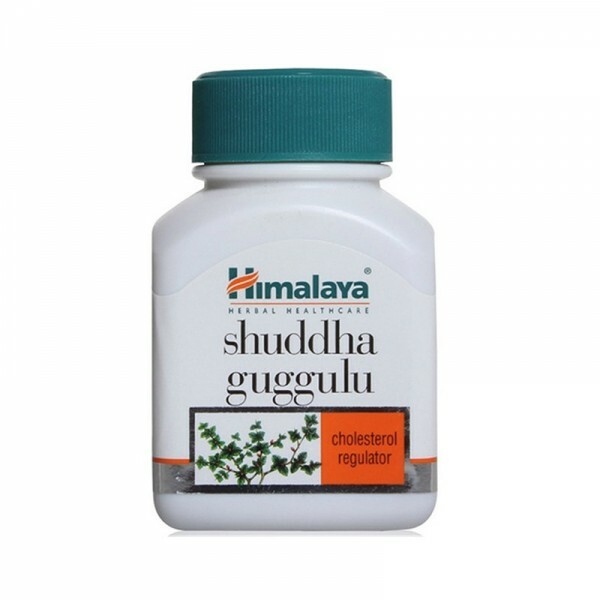 Helps lower LDL (low density lipoprotein) cholesterol levels significantly. Prevents clogging and hardening of blood vessels (atherosclerosis) by stopping the oxidation of bad cholesterol (LDL). Supports healthy weight by regulating metabolism by enhancing thyroid function.